Sassy Sassafras all Mittens and Gloves Root Beer Roots, Filé Gumbo Leaves the fragrant cousins of Family Lauraceae Avocado, Camphor, Bay Laurel, Cinnamon. Title: Sassy Sassafras all Mittens and Gloves Root Beer Roots, Filé Gumbo Leaves the fragrant cousins of Family Lauraceae Avocado, Camphor, Bay Laurel, Cinnamon. 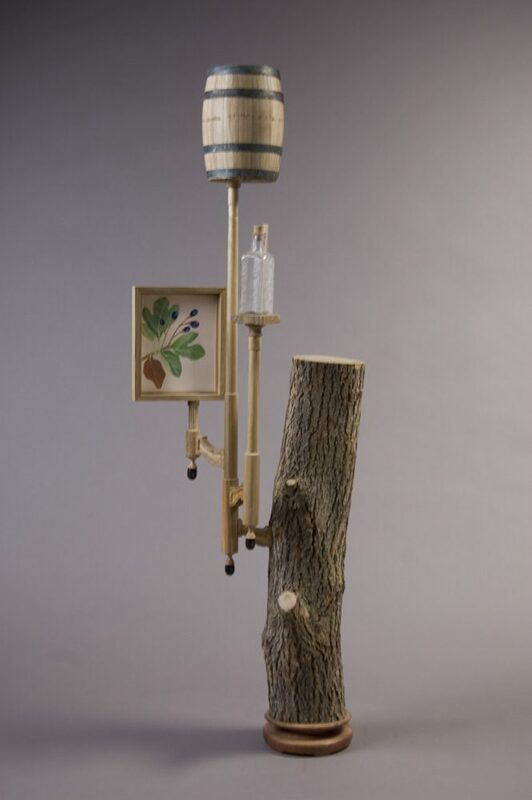 Materials: Sassafras albidum – Sassafras, wood and log from Bartram’s Garden Persea – Avocado, wood from Los Angeles Hire’s Root Beer Improved Extract bottle Iron, Glass, Illustration by Mary Jo Rado.